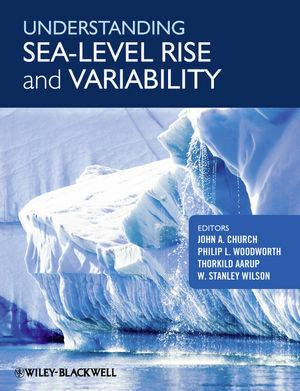 Understanding Sea-Level Rise and Variability identifies the major impacts of sea-level rise, presents up-to-date assessments of past sea-level change, thoroughly explores all of the factors contributing to sea-level rise, and explores how sea-level extreme events might change. It identifies what is known in each area and what research and observations are required to reduce the uncertainties in our understanding of sea-level rise so that more reliable future projections can be made. A synthesis of findings provides a concise summary of past, present and future sea-level rise and its impacts on society. The book is for everyone interested in sea-level rise and its impacts, including policy makers, research funders, scientists, students, coastal managers and engineers. Additional resources for this book can be found at: http://www.wiley.com/go/church/sealevel. John Church is an oceanographer with the Centre for Australian Weather and Climate Research and the Antarctic Climate and Ecosystems Cooperative Research Centre. He was co-convening lead author for the chapter on sea level in the IPCC Third Assessment Report. He was awarded the 2006 Roger Revelle Medal by the Intergovernmental Oceanographic Commission, a CSIRO Medal for Research Achievement in 2006, and the 2007 Eureka Prize for Scientific Research. Philip Woodworth works at the Proudman Oceanographic Laboratory in Liverpool. He is a former Director of the Permanent Service for Mean Sea Level (PSMSL) and Chairman of Global Sea Level Observing System (GLOSS). He has been a lead or contributing author for each of the IPCC Research Assessments. He was awarded the Denny Medal of IMAREST in 2009 for innovation in sea-level technology and the Vening Meinesz Medal of the European Geosciences Union in 2010 for work in geodesy. Thorkild Aarup is Senior Program Specialist with the Intergovernmental Oceanographic Commission of UNESCO and serves as technical secretary for the Global Sea Level Observing System (GLOSS) program. He has a PhD in oceanography from the University of Copenhagen. Stan Wilson has managed programs during his career, first at the Office of Naval Research where he led the Navy’s basic research program in physical oceanography, then at NASA Headquarters where he established the Oceanography from Space program, and finally at NOAA where he helped organize the 20-country coalition in support of the Argo Program of profiling floats. Currently the Senior Scientist for NOAA’s Satellite & Information Service, he is helping transition Jason satellite altimetry from research into a capability to be sustained by the operational agencies NOAA and EUMETSAT.